Ari Fleischer, former White House press secretary under President George W. Bush, is acting as spokesman for Freedom's Watch, a "new group of prominent conservatives [which] plans to begin a multimillion-dollar advertising campaign [on August 22, 2007] to urge members of Congress who may be wavering in their support for the war in Iraq not to 'cut and run'." Fleischer is a dual US-Israel citizen. Before serving in the Bush administration, Fleischer "served as Senior Communications Advisor and Spokesman for the Bush-Cheney 2000 Presidential campaign. Prior to joining Governor Bush's campaign, he was National Spokesman and Communications Director for Elizabeth Dole's presidential campaign. Previously, he was the Communications Director for the House Committee on Ways and Means and the Press Secretary to New Mexico Senator Pete Domenici. Ari is a graduate of Middlebury College." In November 2004 Fleischer was in Sydney to address the Jewish National Fund as part of a fundraising effort in support of environmental clean up work on the Yarkon River in Tel Aviv. In a media interview Fleischer defended the Bush administrations environmental polices from opposing the Kyoto climate change treaty, weakening the Clean Air Act and pushing for oil and gas exploration in the Arctic Wildlife refuge. "There are ways to develop energy and protect the environment," he said. Fleischer rejected to the suggestion that when he worked for the Bush Administration he was a spin doctor. "There are two sides to every issue. Both are entitled to their point of view and neither should be accused of spin," he said. ↑ 3.0 3.1 Tony Stephens, "Former Bush aide stands by his man", Sydney Morning Herald, November 19, 2004. (Sub req'd). "Bush Spokesman Ari Fleischer to Resign", Reuters (Yahoo), May 19, 2003. "Chief Bush spokesman resigns", Agence France Press (Yahoo), May 19, 2003. Laurence McQuillan, "White House spokesman says he'll resign in July, USA TODAY, May 20, 2003. "Fleischer Steps Down for Private Sector", Associated Press, May 20, 2003. Resignation of EPA Administrator Christine Todd Whitman followed that of Ari Fleischer: As President George Walker Bush "gears up his re-election campaign, the White House has advised that if senior staff and Cabinet members are thinking of leaving the administration, this is the time to resign; otherwise, they will be expected to remain aboard until after the 2004 election if Bush wins a second term," Associated Press (Yahoo), May 21, 2003. David Stout and Terence Neilan," Bush's Spokesman, Ari Fleischer, Leaving White House", The New York Times (Yahoo), May 29, 2003. John Gizzi, "Campaign '08 Begins for U.S. House," Human Events Online, December 18, 2006. Scroll down to section "Will Ari Run?". B Merryfield, "Loyal Bushies pimping families of the fallen," The Daily Kos, August 22, 2007. MisterOpus1, "Ari Fleischer and his Pro-Surge WH Front Group," The Daily Kos, August 22, 2007. Joan Walsh, "Ari Fleischer, reporting for duty!" Salon, August 22, 2007. The Angry Rakkasan, "Ari Fleischer: I Am So Confused About 9/11 and Iraq," The Daily Kos, August 22, 2007. David Edwards and Nick Juliano, "Hardball: Ari Fleischer can't name vet used in campaign ad," The Raw Story, August 22, 2007. Matt Corley, "Fleischer Ignorant Of The Name Of Wounded Iraq Vet Featured In His TV Ad," Think Progress, August 22, 2007. "Original Iraq War Propagandist Ari Fleischer Returns To Flack For Bush’s Escalation," Think Progress, August 22, 2007. Sridhar Pappu, "White House Vet Ari Fleischer, Back to Fight for The Surge in Iraq," Washington Post, August 24, 2007. Faiz Shakir, "Ari Fleischer: ‘Congress Is Dangerously Politicizing The Justice Department’," Think Progress, August 27, 2007. Michael J. Sniffen, "Fleischer Recalls Discussion About Plame," Associated Press (ABC News), January 29, 2007. Michael Isikoff, "A Damning Witness. 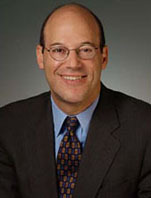 Former White House spokesman Ari Fleischer took the stand at the Scooter Libby trial, and proved a surprisingly effective witness for the prosecution," Newsweek (MSNBC), January 29, 2007.
emptywheel, "Libby Live: Ari Fleischer One"; "Libby Live: Ari Fleischer Two"; and "Libby Live: Ari Fleisher Three," blogged live at Firedoglake, January 29, 2007. Justin Rood, "Libby Trial: Immunized WH Ex-Flack to Testify," TPMmuckraker, January 29, 2007. "Bush's ex-spokesman rebuts Libby. Former White House spokesman Ari Fleischer has told a court that a key former aide to the vice-president revealed secret information to him," BBC News, January 30, 2007. "White House ex-spokesman contradicts Libby on leak," Chicago Sun-Times, January 30, 2007. Greg Miller, "Fleischer then and now: There's a telling difference. Once an unwavering administration foot soldier, the ex-White House spokesman gives an insider's account," Los Angeles Times (Newsday), January 30, 2007. "Reporter Disputes Ari Fleischer's Testimony at CIA Leak Trial," FOX News, January 30, 2007. Ken Bazinet, "Leaking from the top?" The Daily Politics Blog/New York Daily News, February 12, 2007. White House Press Briefing Archive with Ari Fleischer, January 24, 2001 to Present. This page was last edited on 11 April 2008, at 23:36.